The product is sold out and no longer available. Set consisting of bathtub, toilet bowl with cover (wood), sink and mirror. 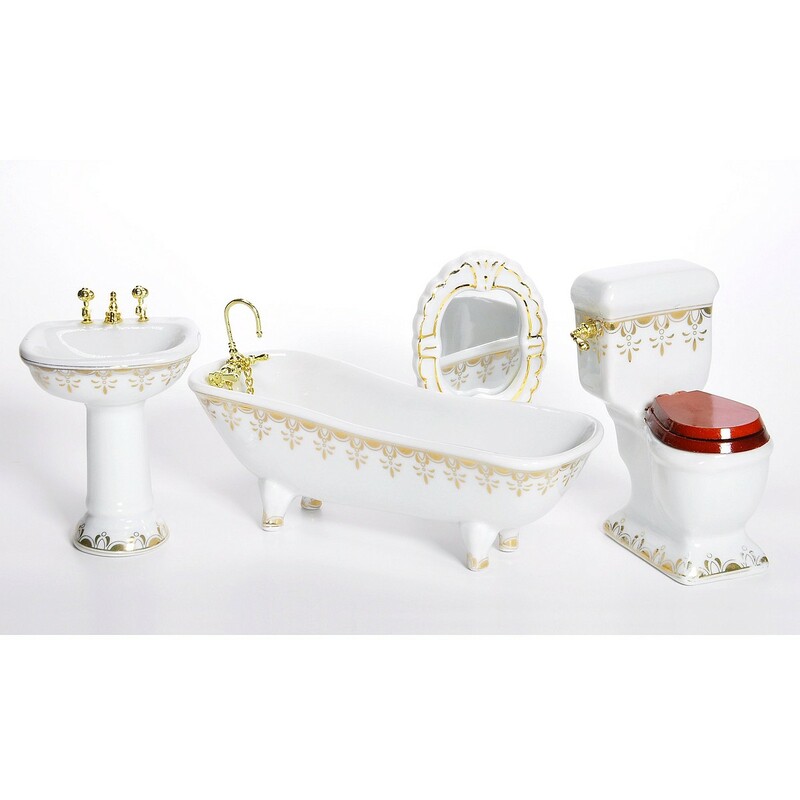 All parts made from white porcelain with gold trim.